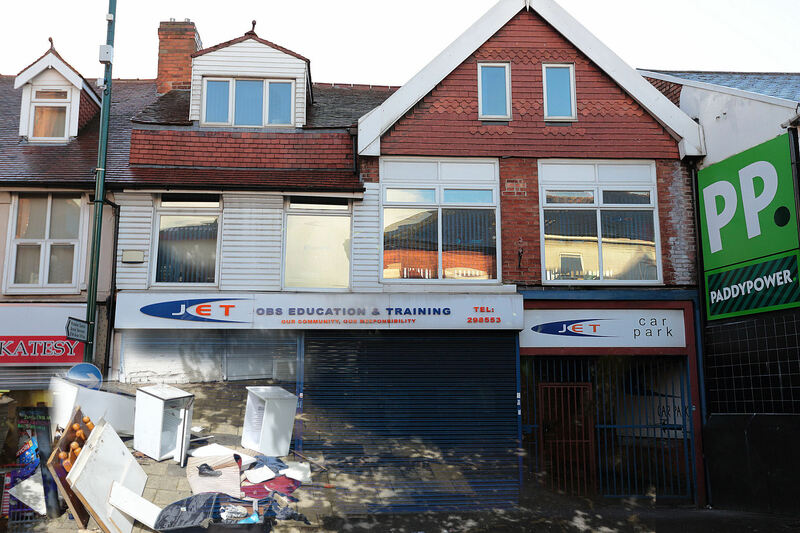 JET: Did we need to spend £20,000 for another fly-tipping plan in Derby? Fly-tipping in Normanton is a major nuisance, but it is not a complex problem – it needs one simple plan. Solving it is the responsibility of Derby City Council’s Streetpride department, and Councillor Asaf Afzal, who is the accountable Cabinet Member – people who are paid out of the public purse. They are clearly not doing an effective job but fortunately the Normanton Empowerment Team (NET) are vocal and visible, and campaigning on behalf of the residents of the area, by keeping it as a high profile issue . When NET met with the Leader of the Council, Ranjit Banwait, on 14 July 2014 they gave him a 10 point plan to help improve the situation – a plan they provided for free, no government funds – they just wanted to see change. This seems not to have been sufficient for the Council, so iMPOWER was contracted in July 2014 for the princely sum of £410,000 to provide consultancy on many issues relating to improving the efficiency of Council services, one of which was around addressing the problem of fly-tipping in Normanton. They were engaged to work with the community and to look at best practice in other cities. According to the Derby Telegraph, this element cost £14,000. If this wasn’t enough, JET on Normanton Road, felt that they also needed to climb onto the fly-tipping “band-wagon”. A charity, well-known, for processing “32,000 job seekers” a year, but little observable expertise in waste management or actually delivering community change projects. But this didn’t seem to concern Locality. Locality, a charity based in London, were given the task of managing the Department of Communities and Local Government (DCLG) funded “Our Place” programme. Locality has been a funder of JET for the last few years under the Community Organisers (CO) programme. This uses Government money from the Office of Civil Society. JET is a host employer and is given £15,000 per CO by Locality. In 2013/14 JET started the year with 3 CO’s. By November 2013, this was down to 1; for the year they received £53,802. Certainly a successful year, financially, given the low salaries and running costs of the COs. There is little publicly available evidence of the value of all of the “door knocking” and hundreds of “listenings” that constitute this activity. No mention here of why the 2 people left JET, prematurely. “Our Place puts communities at the heart of service delivery in their area and involves local partners within a neighbourhood coming together with local people to identify the issues that matter most to them. Locality confirmed to me that JET received a number of grants totalling £20,000 in the year to March 2015. The result of this effort and money was just a plan! If the Council wish to implement the plan, then the Council need to provide the additional money. Not much chance of that! Common sense would have suggested that NET would have been central to this activity. It wasn’t clear whether JET provided the venue free-of-charge. That’s a political NO then? “take the lead in organising a partnership to look into the community’s concerns about all aspects of waste collection and disposal”. The programme expected that a partnership would be built up “from the voluntary, private and public sectors”. There is a question mark over the credibility of the link with the voluntary sector when they have not engaged with NET. The connection with StreetPride was described by the Council as “not a formal one” previously dismissing JET’s primary contribution as a “community venue”. Not the work of a leader! It’s clear that, on the ground, Normanton has seen no value from the £20,000 – as only a plan has been produced. The money represented a minor contribution to the annual £60,000 rental payable to the Chief Executive Officer, Sharief. Is the JET plan materially different from the ideas that Derby City Council – StreetPride, iMPOWER, and NET have already proposed, or have they just re-cycled existing ideas? The plan is not in the public domain. There was no publicity over the project and its outcome, no tweets, no article in the Derby Telegraph, no opportunity to LIKE it on Facebook! Perhaps JET would like to publish the “plan” on their website, open it to public scrutiny, explain how the £20,000 was spent, invite comment and be transparently accountable for the product of £20,000 of public money. Now that would be novel!